Lakeview Cottage Kids: Happy April Fool's Day!!! No Joke - Snowing and 33 Degrees Here Today!! It started out sunny and clear here in Sturgeon Bay this morning!!! And now it is snowing, wet and windy.....and 33 degrees....much more wintry than springy! Perfect day to stay in and crochet a new hat! The pattern I used for this is from the Files of the Facebook Group, Crochet M@ssy Buns & Beanies - Free Patterns Only. It is called the Top Down Katniss Hat #4 Yarn. Just about done!! 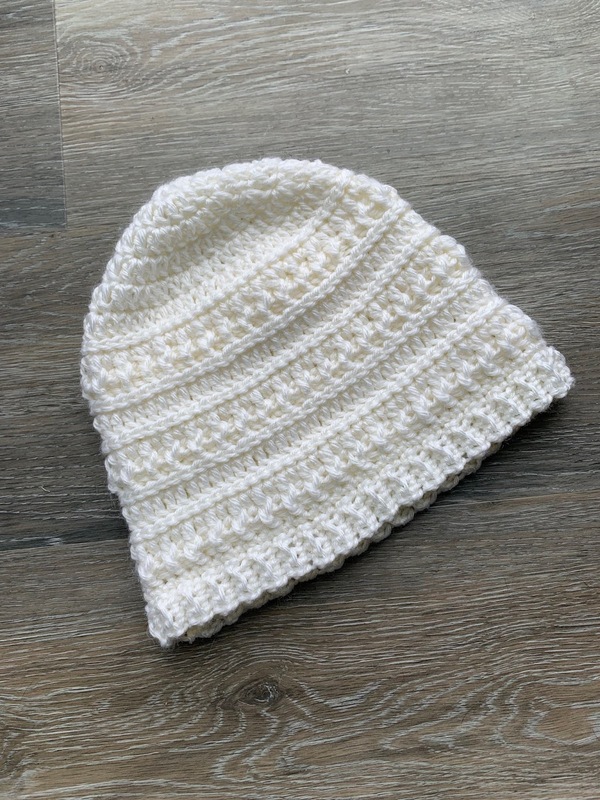 Made with Knit Picks - Mighty Stitch in White. This yarn is a Worsted Weight Yarn made of 20% Superwash Wool and 80% Acrylic. It is Machine Wash/Tumble Dry Low. Super soft and snuggly....perfect for a day like today!! I just need to weave in the ends and attach a fur pompon! !